Norma Jean Farris died on October 15, 2018, she was 83 years old. She was born on October 31, 1934 in Galena, Missouri to Carl and Bernice Eutsler. Her family relocated to Pomona, California when she was a young child. She graduated from Pomona High School in 1953 and later in life earned an Associate’s Degree in Early Childhood Development. Norma married her high school sweetheart, Donald Farris in 1954. They lived in the Pomona area until they moved to Washington in 1991 to be near family. They moved to Enumclaw in 2006. 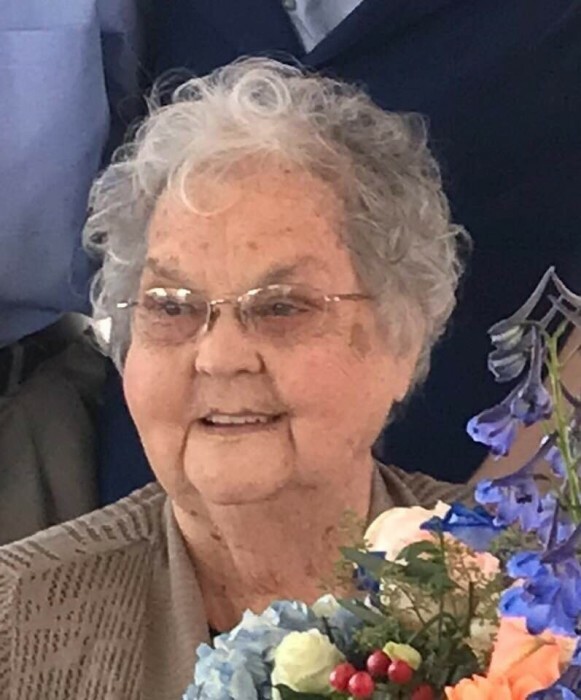 Norma is survived by her husband of 64 years, Don; her siblings, Hershel "Bud" Eutsler (Ida) of Toledo, WA, Carlyne Farris of Mountain Home, AR, and Carl "Lucky" Eutsler (Alice) of Buena Park, CA; her 3 children, Lisa Williams (Jeffery), Lori Farris and Mike Farris all of Enumclaw; her 8 grandchildren, Travis Williams, Connor Williams (Laurel), Luke Williams, Chloe Farris, Matthew Farris, Meaghan Poquette (Zach), Zach Farris and Noah Farris; her 2 great grandchildren, Aiden Farris and Kennedy Gibson; and many loved nieces and nephews. She was preceded in death by her parents, Carl and Bernice Eutsler and her grandson, Joshua. Norma loved her family and enjoyed spending time with them. She was loved for her sense of humor and her sassy personality. She was a devoted follower of her Lord and Savior Jesus Christ. A Celebration of Life will be held on Saturday, October 27, 2018 at 1:00pm at the Mountain Villa Estates Club House, 1099 Mountain Villa Dr. Enumclaw, WA 98022.